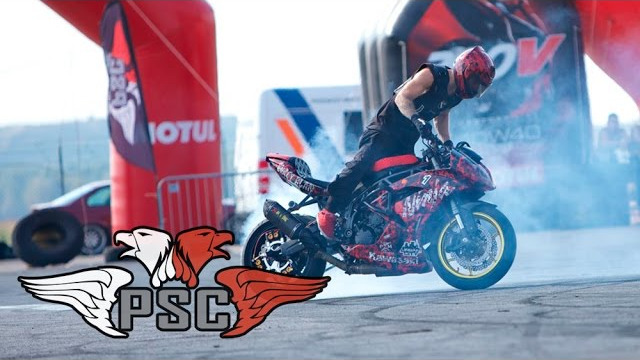 All top riders came to Warsaw to participate in the Polish national tournament. 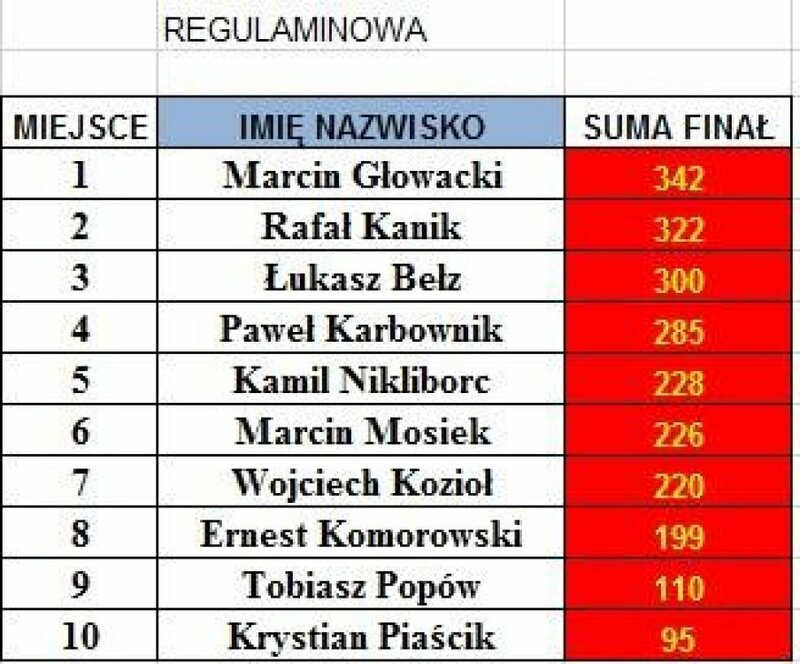 Traditionally, four riders have pretensions to win: Marcin Glowacki, Lukasz Belz, Pawel Karbownik, and Rafal Kanik. It is they who determine the places on the pedestal, almost no one can compete with them. In general, the level of competition is high, there are many riders who can show an excellent three or four minute performance. In stoppie, it's 180 highchair, 270, kangaroo. Stoppie 180 with the rider sitting is not a high-level stunt anymore and the riders do it only as a part of the combination with going on the wheel. 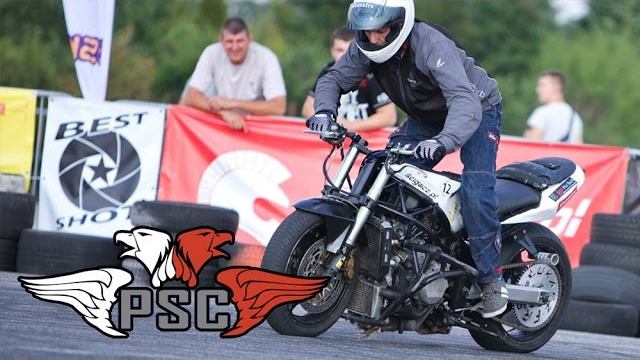 Stoppie in non-standard positions on the tank is relevant only with a 180 turn, because while performing such stoppies, it is difficult to estimate the angle and real control in a straight line. In wheelie, it's deep coasters and scrapes, jumping onto the tank, no hands, figure eight highchair. Coasters have become a compulsory stunt, they are aggressive because of the cut-off and speed, they require going into a negative angle and to return, which demonstrates the control on the wheel. In drifting, it's a sharp change of direction, tornado, jumping onto the tank. Drift has become a noisy and fast category of stunts with jump elements. It should be done quickly, at high speeds up to the cutoff, jumping into new positions. The combination of drift and flat stunts (whip, bunny hop) is the highest level. In acrobatics, it's a controlled cross with a jump, switchback positions, headstand. Modern acrobatics began to integrate into other categories of stunts in order to maximize complexity and entertainment. There are also some new stunts now, such as headstand burnout; switchback drift, wheelie and stoppie. Flat stunts are getting more popular. Probably, very soon this category will become mandatory. Whip, bunny hop, and shuffle both separately and in a combination with other stunts look great, bring diversity, add dynamics, and aggression. 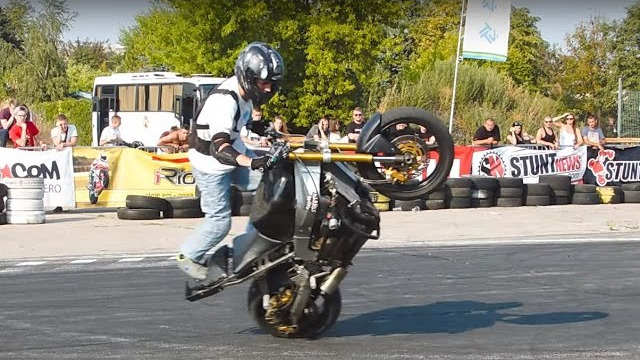 To manage this set of stunts in just 4 minutes, the speed must be high. 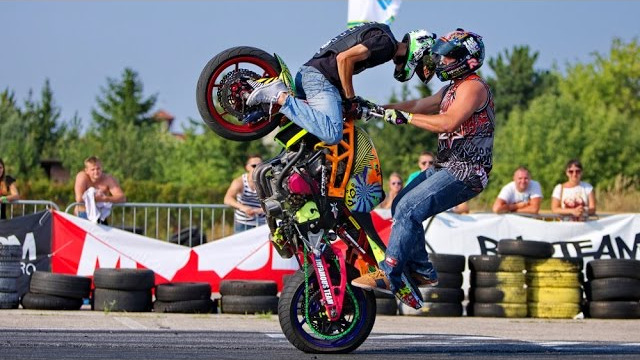 If the rider wants to add more individual stunts, the speed must be almost unreal, and the stunts should be well connected between themselves. Tough competition and tension makes everyone make mistakes. 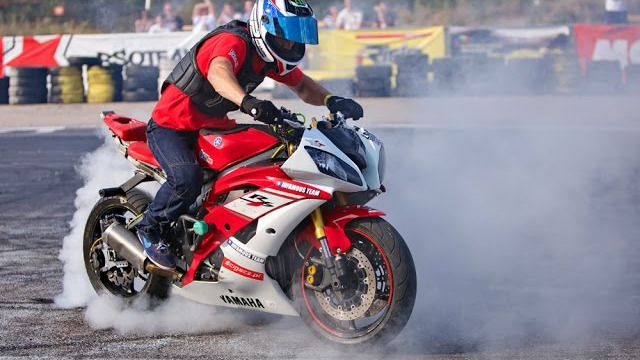 Many riders can do complicated stunts, but only top riders have a well-connected error-free program. For Marcin Glowatsky, for the current champion, it is always incredibly difficult, because every time he has to prove that he is still the best. So far, Marcin is the best, but each tournament makes it harder for him to win.